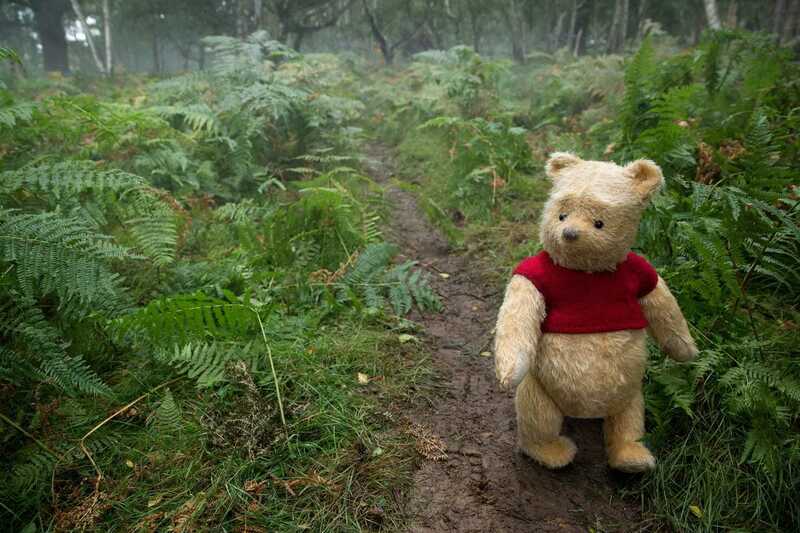 There’s just no denying how adorable Winnie the Pooh is. He’s a classic childhood favorite that has once again made his way back into our hearts with the upcoming release of the Christopher Robin movie. His love of life, friends, and honey make it irresistible to not have a smile on our face when thinking of him and his shenanigans. Deep down, each and every one of us wants that carefree and fun attitude, right? 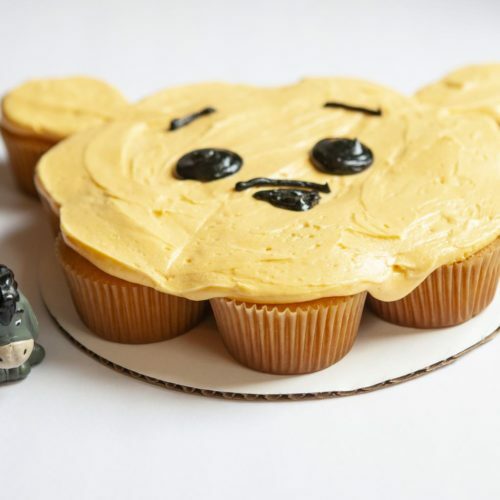 Make a batch or two of these Winnie the Pooh cupcakes in anticipation for the Christopher Robin movie release on August 3rd! They are a festive way to get everyone in your house excited and ready! Plus, practice makes perfect so make certain that you bake and try in advance so that they’re perfect for the big day! 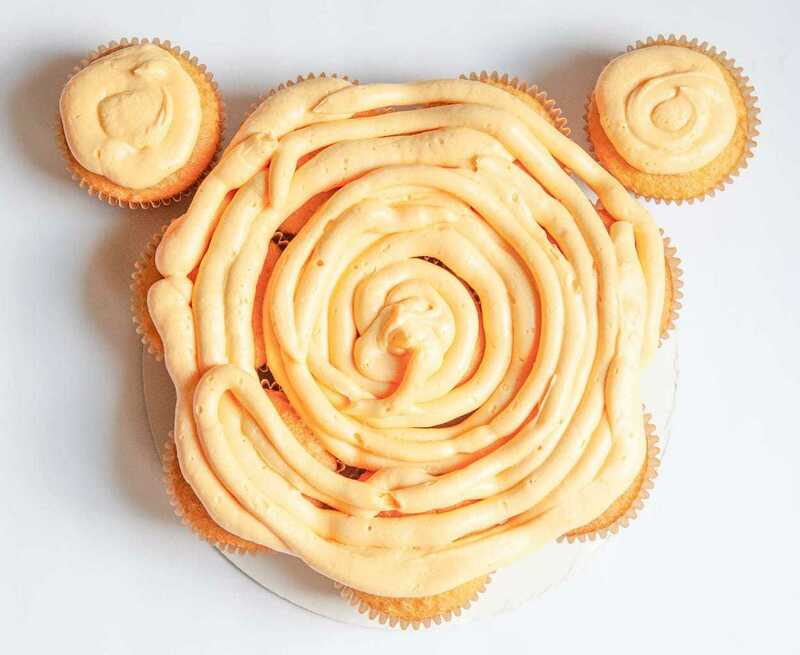 These Winnie the Pooh Pull Apart Cupcakes are perfect for so many occasions. Birthdays, sleepovers, or just “because”, you’ll love how they look, taste and are so easy to clean up after as well! 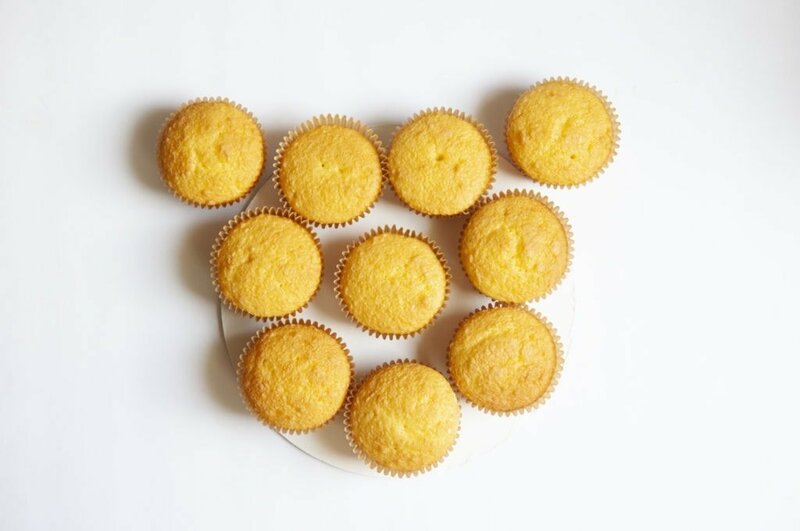 No need for plates or forks because these cupcakes are the perfect “grab and go” accessory. 1 Box of yellow cake mix + ingredients listed on the box. Bake as directed on box. 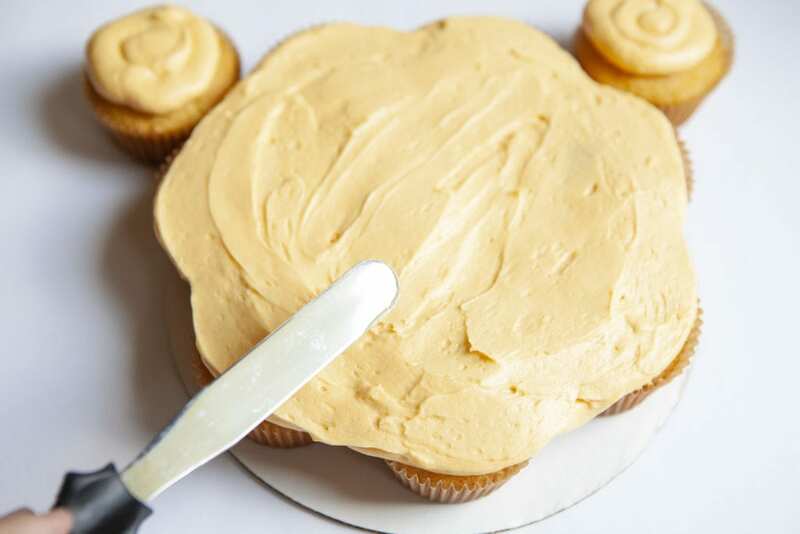 Let cool completely before frosting. 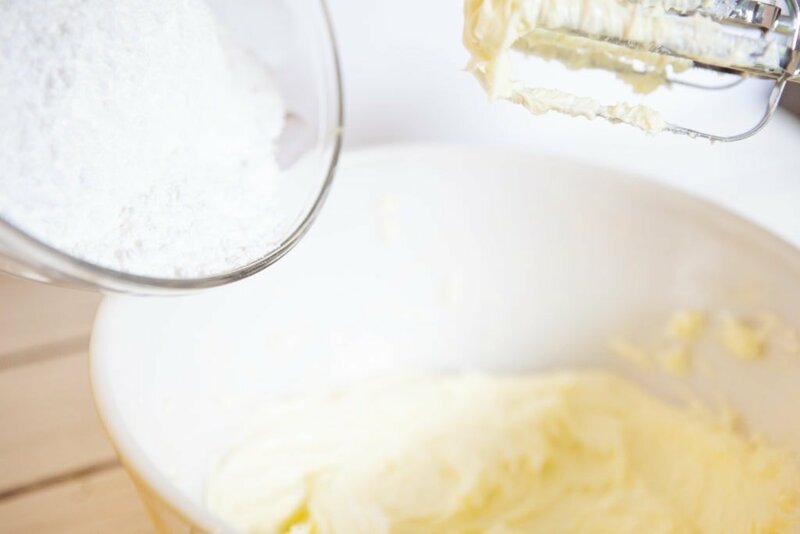 Cream room temperature butter with electric mixer until smooth and fluffy. 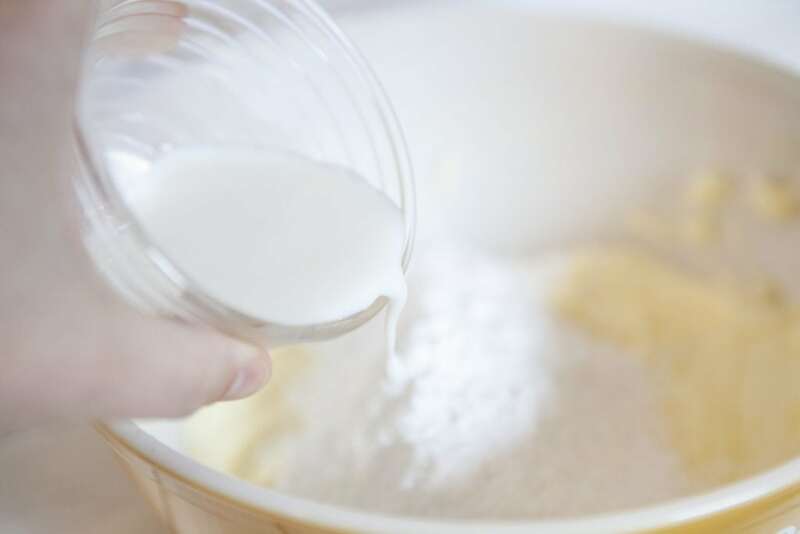 Gradually add sifted powdered sugar and vanilla. Add milk and beat for 3-4 minutes. Add food coloring, 1 drop at a time until you get the desired color. On a large tray arrange your cupcakes. 7 to create a circle, 1 in the center and two on top for the ears. Place icing into your icing bag. Pipe large dollops onto the ears and then around the circle. Spread evenly with an icing spatula. 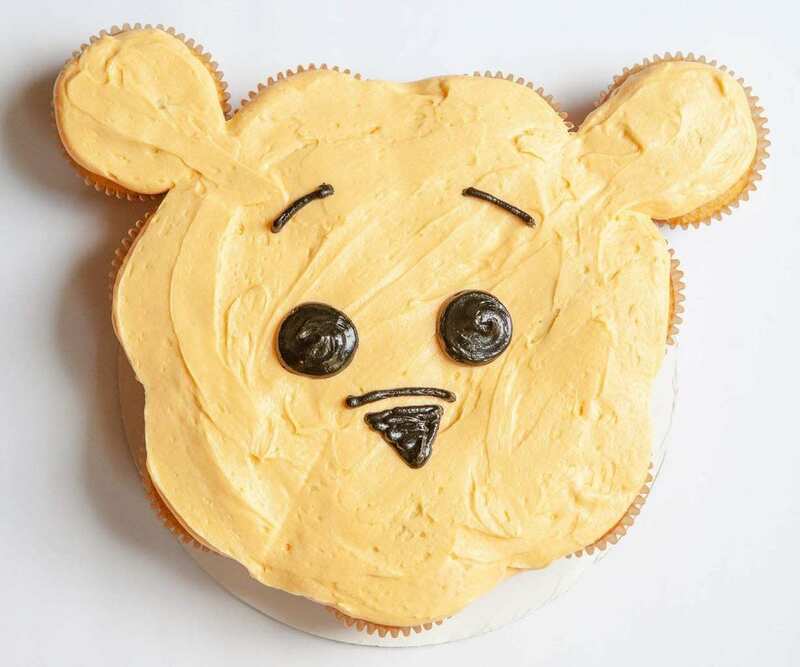 Using your Betty Crocker black icing, pipe Pooh’s eye, eyebrows, nose, and mouth. 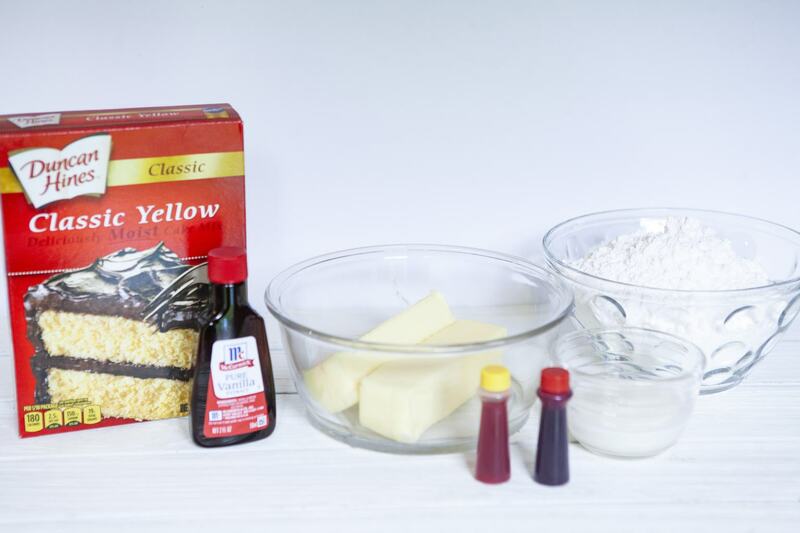 1 box yellow cake mix + ingredients listed on the box. 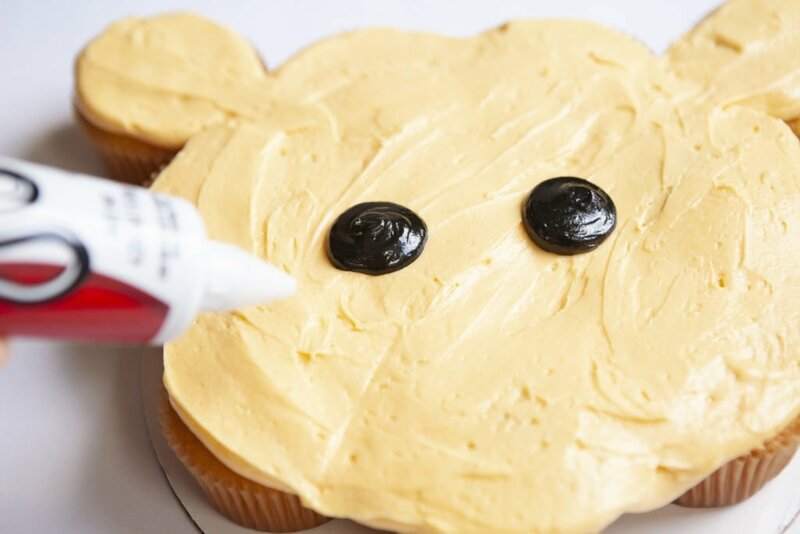 Using your Betty Crocker black icing, pipe Pooh's eye, eyebrows, nose, and mouth.